It feels like the longest week ever, until I look at the calendar to see that it is only Monday. Yes, Monday..
Every semester, there is always a week when you look back and want to puke at the amount of stuff you have to do in such a limited amount of time. This week seems to be "the week". Biomechanics final project, biomechanics presentation, guitar final, writing 340 final, writing 340 portfolio, working extended shifts (6pm - midnight) at the dental school library, leading the pre-dental meeting on Wednesday, dealing with pesky miscellanies in life, finding out whether I am accepted or rejected by dental schools on December 1 (Thursday), and maybe getting an iPhone this weekend. In conclusion, this week can either break me or make me. I'm praying for the latter. 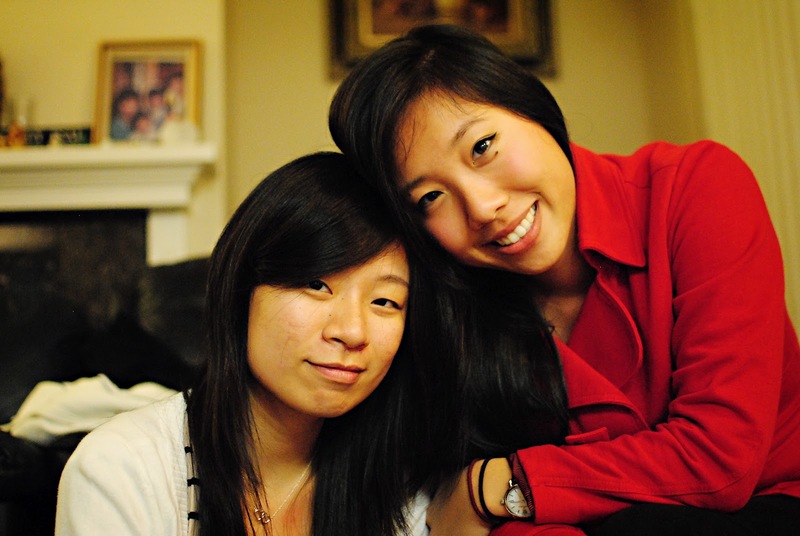 The best parts of our Thanksgiving reunion, but we were missing Jessica. The passing of Thanksgiving marks the start of non-stop Christmas caroling! Only 29 days until Christmas. 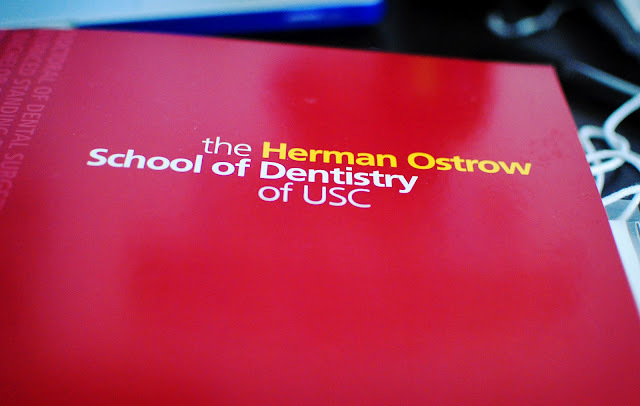 A few weeks ago, I received an interview offer from the University of Southern California School of Dentistry. They gave me a list of seven interview dates to choose from. I glanced over the dates, picked up the phone, and scheduled my interview for November 16, 2011 (Wednesday) - the last date I could choose. I needed the extra few weeks to buy interview attire and mentally prepare for the interview process. 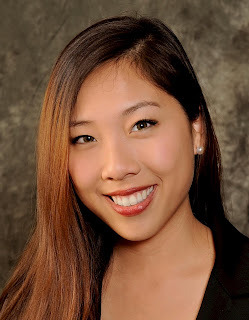 The morning of the interview, I was dressed in my grey business suit and pencil skirt, attempting to run to the dental school from my apartment in four inch heels. It was 8:40am when I left the apartment and the interview was supposed to start at 8:45am. Having a dental school interview at your undergraduate campus is a blessing and a curse. I expected to get to my interview site just as I normally got to my classes on campus - speeding by everyone on my trusty old bike. Except that I couldn't even get on the bike that morning. My tight fitting pencil skirt was preventing me from accomplishing the task. So I bolted towards school, in my heels. How embarrassing would it be to arrive late to a dental school interview when you only live a block away from the main gates of the campus? Though I looked rather ridiculous to all the pedestrian bystanders, I was able to make it to the dental school by 8:50am. 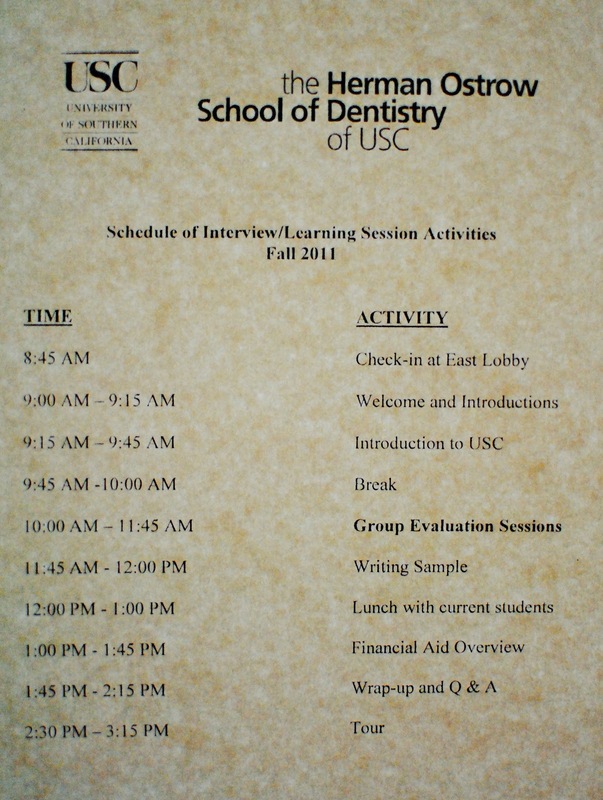 And while the schedule said that the interview started at 8:45am, I actually arrived with time to spare. Upon arrival, each interviewee is given a name tag with a colored dot. The color of the dot dictates which group you will have your interview and mock PBL session with. Each group consists of approximately 10 people, all from diverse backgrounds. 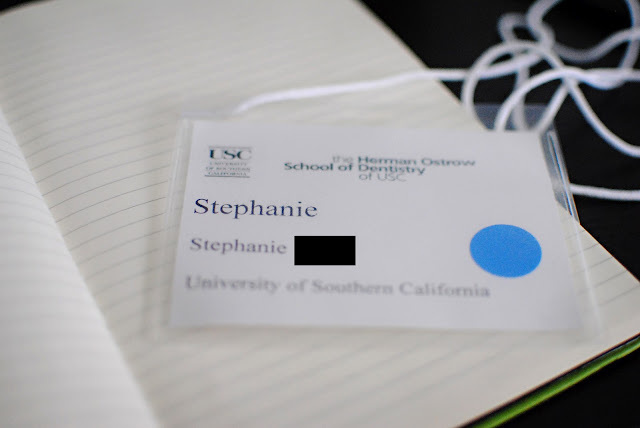 What I found most intriguing was that there were few biology majors in my interview group, which is surprising since biology seems to be the most popular major among dental school applicants. Luckily for me, I was the only kinesiology major with a minor in public health in the interview group. Not that I think it matters very much - it is simply more interesting to meet a diverse group of applicants than 20 clones of yourself. My favorite part of the interview day was the group interview and the mock PBL session. The group interview resembles an ice breaker session where each applicant randomly draws a question out of the bucket. The questions that they ask aren't particularly hard. Like the final question in a beauty pageant, it is a test to see how well you can articulate your thoughts and how quickly you can think on your feet to formulate a fluid response. It is only nerve-racking because you can clearly see, out of the corner of your eyes, the dental admissions committee taking notes on your interview. I loved the mock PBL session, which allowed us to work closely as a group to figure out what was wrong with our patient. It was like playing the role of House, M.D. 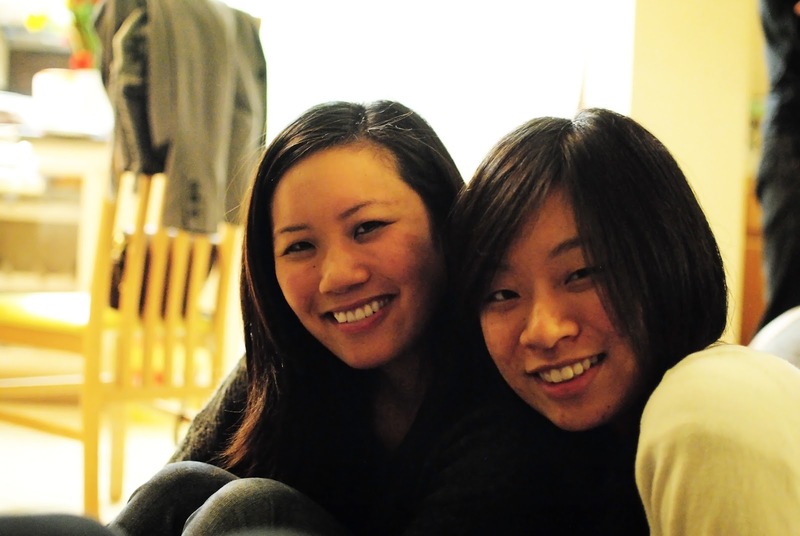 in a less intellectual and less misanthropic manner with a large dose of camaraderie. In my mind, I am hyping up my impression of the PBL process (clearly I am sick of traditional lecture-styled curriculum). It is an interactive process that allows for group bonding and makes the basic science curriculum applicable to human health. It also lessens the amount of time that students spend sitting in lecture halls and allows them to focus on other stuff that interests them: research, clinical experience, volunteer opportunities, etc. The PBL curriculum is definitely not for everyone. I talked to many students who believe that the PBL curriculum is tantamount to running around like a headless chicken without any guidance or direction. There are some who tell me that they would honestly rather have a traditional lecture-based curriculum. Most students believe that PBL is more beneficial if there is a small lecture-based component before each case that teaches them the essential science information and gives them a sense of direction for the case. In my opinion, the most terrifying part of the interview process was the financial aid session. This is the "HOLY CRAP! Even if I get accepted into dental school, how I am going to pay for all of this?" moment of the day. 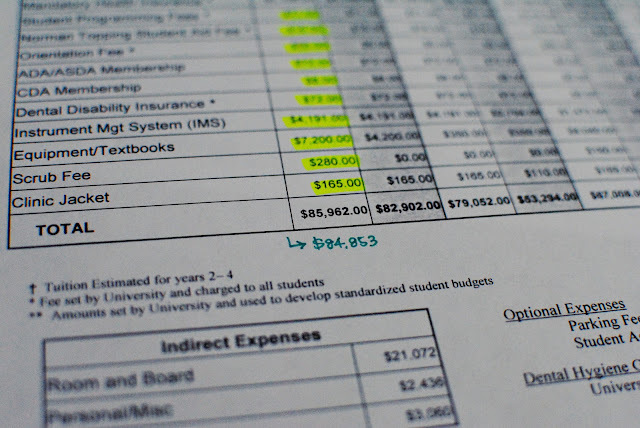 I mean, the first year tuition alone is estimated at almost $86,000. After four years (with interest), that is A LOT of money to pay back. The financial aid officer talked to us about Income Based Repayment (IBR) and Public Service Loan Forgiveness. What are people's opinions of these programs? It seems like it is too good to be true. Is there a catch that I am unaware of? Overall, I am grateful to have a pre-December 1 interview. The fact that my interview date is so close to December 1 (the first day in which dental schools deliver their first round of acceptances) lessens the stress of waiting. I can't imagine interviewing in August and waiting four months to find out whether or not I've been accepted into dental school . So here's to keeping my fingers crossed for another 9 days and praying for good news on December 1! This week has been rather under the weather for me. And also for Southern California. The weather has been bitter and cold. So cold, in fact, that it was snowing in Montclair (which is not far from my hometown). I blame the weather for putting me in a weird funk. I have had no motivation to do anything - attend class, study, go to work for athletic medicine, work on my layout designs for the yearbook, volunteer at St. Johns, write my Trojan Health Volunteer journals. It's not that I don't have enough time. I have all the time in the world yet no motivation to start the task. The more I try to force myself to focus on my commitment, the less motivation I have to carry through with them. I'm a classic case of the "self-control depletion" theory that we have been discussing in my Violence as a Public Health Issue class. The more I try to utilize self-control, the less self-control I have. How do successful people combat apathy and lethargy? Definitely have to break free from this funk since my dental school interview is next week. I've been putting off interview preparation but now, it's time to start panicing.